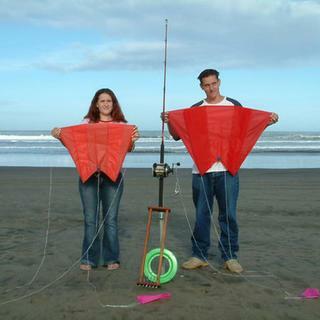 Kite Fishing is a productive and fun way of catching fish from the shore! 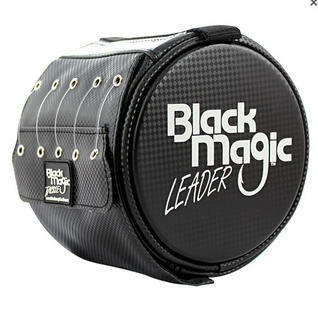 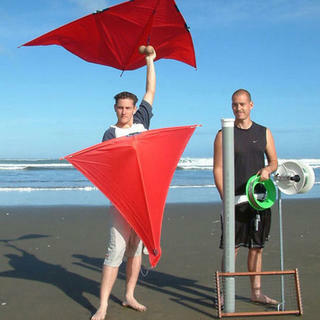 Our top quality fishing kites have a huge wind range so you will get the maximum number of fishing days. 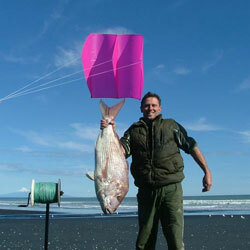 Kite fishing allows land based fishers to cast baited fishing lines and lures of any size up to 2000 meters offshore. 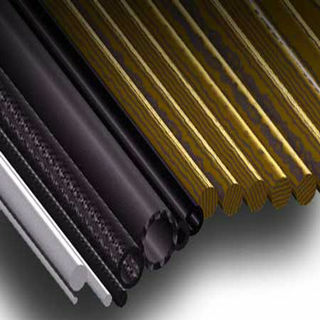 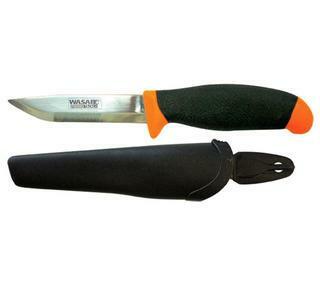 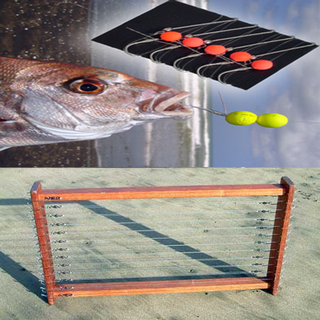 It is a highly productive fishing method that is practical in areas that have offshore winds 70 days or more per year. 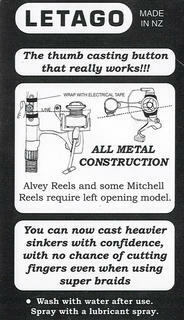 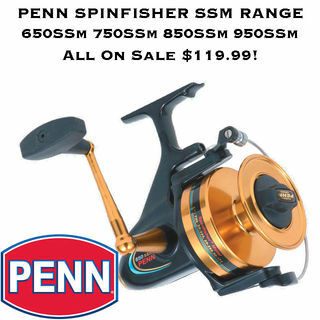 No-nonsense and very versatile fish catching machines. 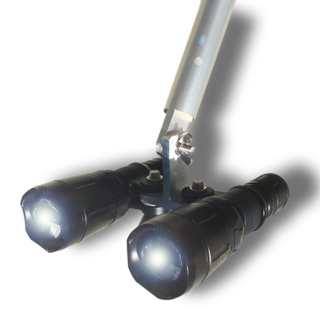 The 20 Hook Dropper Rigs will keep you fishing through extreme conditions. 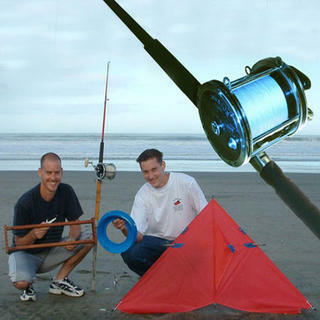 25 Hook capacity 1100 meter Kite Longline Rigs for fishing from clear sandy beaches. 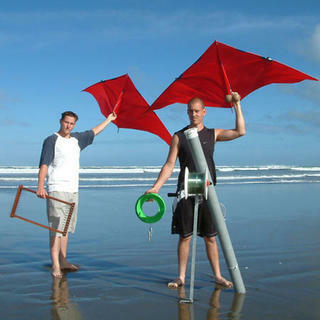 Wind range from 4 knots to 50 knots plus. 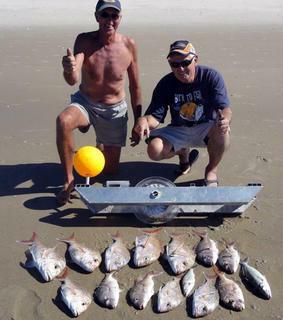 Fish a wide range of winds. 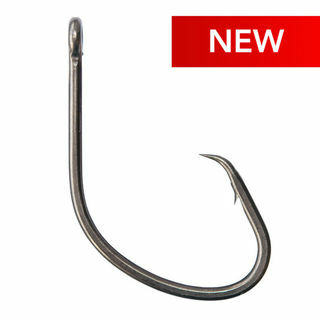 Cast up to 10 hooks 1000 meters or more offshore from your fishing rod or beach reel. 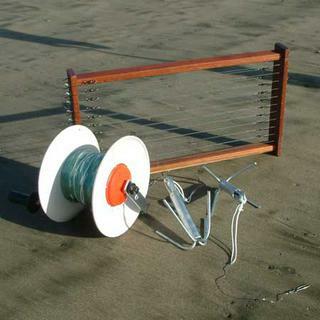 Turn any fishing rod into a lethal fishing system with our Pocket Sled kite fishing systems. 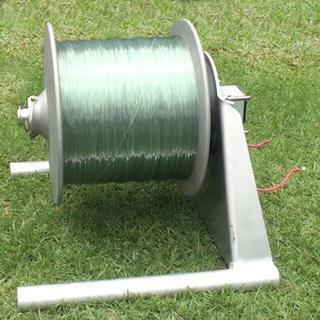 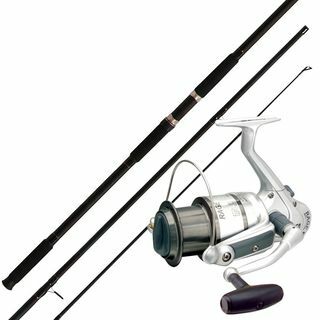 Cast up to 5 hooks as far offshore as your reel capacity allows. 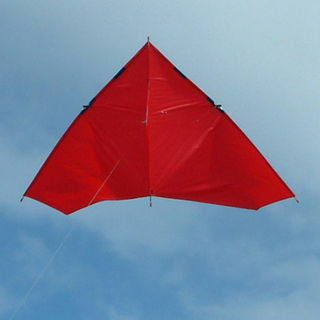 Our full range of fishing kites to suit all kite fishing systems from beach or boat.